1. Please tell our readers about Fatal Intent. Fatal Intent is a romantic suspense that is one of my favourite of all my stories because writing it brought back beautiful memories of a trip into the Borneo rain forest. Fortunately, there was no death or deception on the real trip. In the world of Fatal Intent, it’s a different matter. Fatal Intent is the story of entomologist, Garrett Cole, who has finally secured the lead role in a coveted excursion into the Borneo Jungle. But the excursion ends abruptly with the discovery of their guide, dead and headless. In the middle of the Borneo rain forest with neither guide nor map, she’s terrified and desperate and determined to her to get her team to safety. Raised in the lush cradle of the Borneo jungle, Aidan is as unconventional as the fact that he has no last name. While the city is home, he returns often to the jungle for peace and solitude. As a PI he’s seen a lot but he’s not prepared for the group he finds, obviously lost and towing their dead guide behind them. It’s a situation that demands answers, answers he’s determined to get. But in a convoluted trek that he imposes in a bid for truth, he instead finds himself in a clash of wills with the group’s alluring leader and answers that slide dangerously close to the tribe he loves. But despite clashing points of view and dangerous intrigue, in the torrid heat of the jungle, they find unexpected solace in each others arms. But can their fledgling romance survive the treachery that is folding around them? There are no answers, only the truth – that in a game of wits, no one can be trusted! 2. How is Fatal Intent different from your previous novels? Fatal Intent is different from my two previous novels in that it is a romantic suspense. It is also the first novel that I set in a place where I’d traveled. My first novel, From the Dust, was set at home, in depression era Saskatchewan and my second novel, Ring of Desire, was a stretch of the imagination from the era to even the place, the southern tip of England in a village that never existed. So setting a story in a real place that I couldn’t embellish with my imagination and where I’d only briefly traveled to, was a challenge. While in Borneo, I learned quickly to speak to the locals, whether the guide, the hotel clerk or the vendor on the street, and found that gave me a more accurate sense of culture than my own impressions alone. In a way it was much like speaking with prairie seniors to get a feeling for the great depression for From the Dust. They were people who had experienced a place like I never could. 3. What were some of the challenges your faced when writing this novel? Writing Fatal Intent was challenging in that I was combining the elements of a suspense, a fledgling romance and plunking it all within the complexity of the jungle. I soon learned that maneuvering through a jungle, despite having visited one, was more difficult than getting through an urban environment where I was at least familiar. You can’t count arriving as a tourist and making short treks into the jungle as experience for navigating for days through a rain forest. But that’s exactly what I had to do to facilitate Aidan getting Garrett and her team out of the jungle. I had to map out where they would trek and how long it would take and what obstacles they might face. Google maps cluttered my desktop. My critique partner was the one who suggested I needed to get off the computer and take a pen and draw a map and once I did that – the challenge of writing them out of the jungle became much easier. When I’m not writing I love to travel either to another country or between the pages of a good book. Definitely A – Aidan is not only gorgeous but he knows his way around the jungle. Giles might be hot but his medieval mentality would have him swinging his sword at every little noise and probably manage to annoy some of the locals ie. a monitor or two. I suspect he might not be as patient with some of Garrett’s team either. Tate on the other hand, being a veterinarian, would probably be attempting to repair the damage inflicted from Giles’ sword by seeing which creature needed a bandage or two and I doubt if he could have found his way out of the jungle. Although he would be much more patient with Garrett’s team. Yes, Garrett’s team is an eclectic group who tend to get on the nerves of even the most easy-going individual. But I suspect Tate would have been the only one who of the three who wouldn’t lose his temper with them. Seriously, both Giles and Tate while definitely characters I’d spend time with, just aren’t jungle material. My favourite place to read is – you know I stumbled on that. I love to read pretty much anywhere. I’ll read while waiting for an appointment, on a plane or on my couch. It might be easier to say what’s not my favourite place to read, that would be riding in a car. I get car sick if I look down to long which becomes challenging if I’m trying to match up what the tourist brochure says against which direction the GPS is insisting we go. Well, I write both romantic suspense and women’s fiction and I often will have one of each going at the same time. I like the idea that when you hit a snag with one you can move to something completely different. Right now I’m thinking about setting a suspense in Arizona but that story isn’t completely plotted out. And of course, there’s a suspense that keeps reminding me it needs a middle and an end – that one is a story of stolen identity, a flight across the globe and a frightened woman now undercover in Malaysia. I’m excited about both stories and not sure which to jump into first. But while I mull those two over, I’m working on another story that has me pretty excited. The idea of it began with an unexpected call from a friend and a tour through a house she was interested in purchasing which happened to be a hoarder’s house. From that came the story I’m now working on. I’m in the midst of revising the story about a woman whose life unexpectedly intersects that of a hoarder after she buys a house that is still full of many of the hoarder’s possessions. I just received Ken Follett’s “Winter of the World” as a gift. 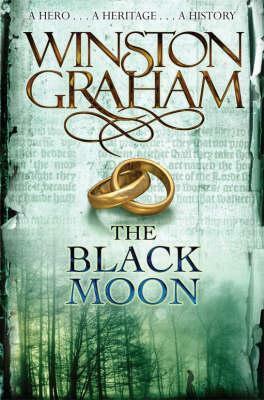 I completely love his historical novels because they are so rich and layered. With the temperatures diving to the negative double digits I can hardly wait to haul out a blanket and curl up on the couch and get lost in the story. I’m a dog person but only because I have a slight allergy to cats. But I love animals of all kinds and have even been known to have a ferret. Although the ferret, if he wasn’t bathed regularly, made me sneeze. As a result, he was probably the cleanest ferret around. Now I have to draw the line – one dog. And that might not be my rule but possibly one spunky Irish Terrier – Rourke, who I suspect has no desire to share his couch. 10. What is your favorite thing to do when it rains? Depends if it’s a warm rain or a cold rain. A light, warm summer rain is kind of nice to be outside in, refreshing really. But a fall rain, one that’s flirting with the edges of snow – then I want to be inside bundled up and warm. Ryshia Kennie is the author of two published romances. From the Dust, is a romance set during the Great Depression. Her second book, Ring of Desire, was set against a backdrop of magic and mystery, in medieval England. An award winning author, her recent novels now focus on suspense and women’s fiction – always with a hint or even a dollop, of romance. The Canadian prairies are home where she lives with her husband and one opinionated Irish Terrier. Visit her website at http://www.ryshiakennie.com. Fatal Intent is available at B&N for Nook and also available at Amazon, in the iBookstore, on Smashwords, All Romance Ebooks, and Kobo. Thanks To Read or Not to Read for having me and Marcie for asking me. I'm excited to be here - releasing a book is always a thrilling time. I'll be hanging around today, checking in from time to time to chat or answer questions.